• This camera is in perfect working condition and great physical condition. • The camera has a new black leather covering and looks new. • The frame is in good condition and opens and closes smoothly. 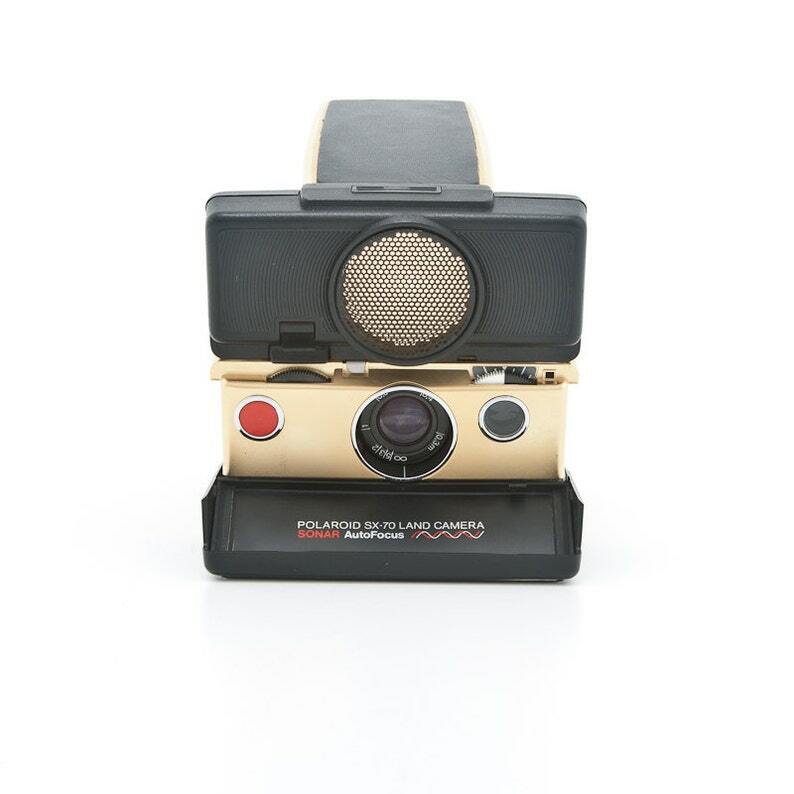 This camera was purchased from The Impossible Project factory last year while we were visiting. We shot a few packs of film with it and it is perfect. The only thing physically wrong with it is it does not have the original gold film door. We did not get the story about why they replaced it but it is not perfect. The rest of the gold body is in great shape. This camera is in great shape. It is almost 40 years old, and likely last at least that much longer, if cared for properly. Avoid leaving in direct sun, excessive moisture and extreme temperatures. Store in a closed box or container to avoid dust. It works really well. As soon as I got it I put film in and used it. Love it! Excellent stuff - everything is as advertised, camera is in great condition and arrived quickly. Will definitely shop here again!